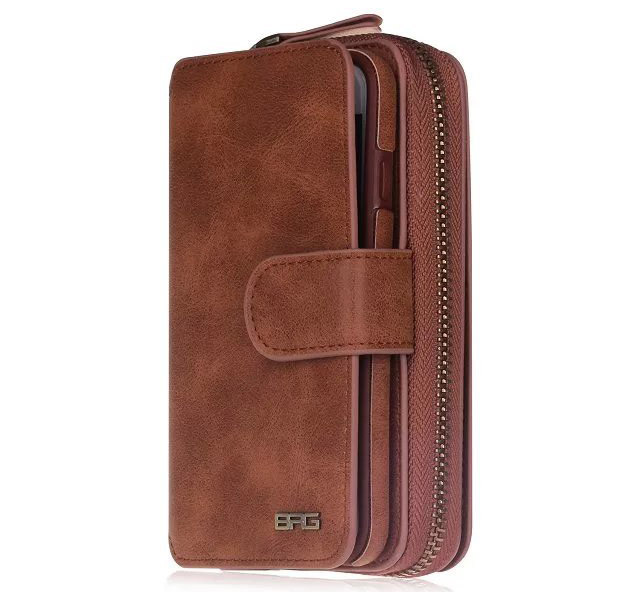 Free Shipping, Genuine Original, Buy BRG iPhone 7 Magnetic Detachable 2 in 1 Multi-functional Retro Wallet Case at Casemecase.com. 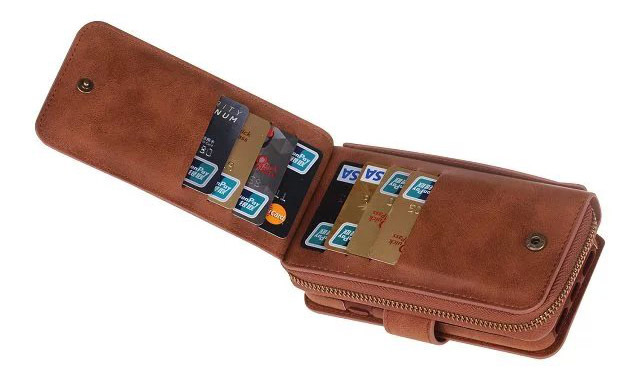 You'll keep only the essentials in wallet case. ID, debit, credit and a little cash. 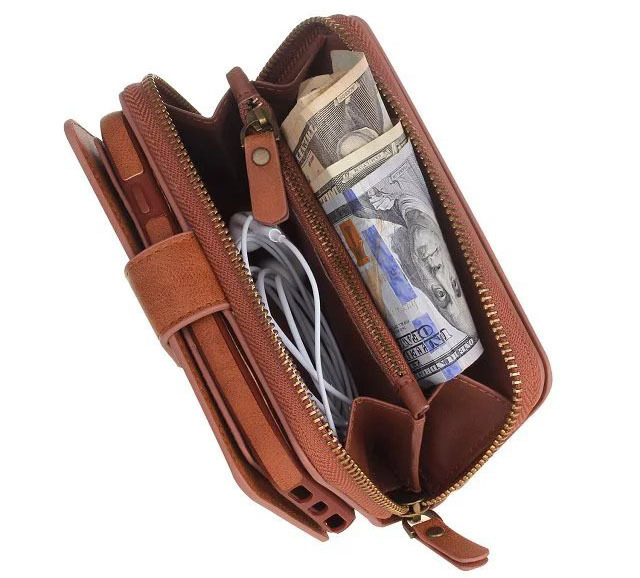 This is the best wallet case… the best case for my lifestyle that I have ever owned! I LOVE the look, the smell, the color, the functionality, and the protection! 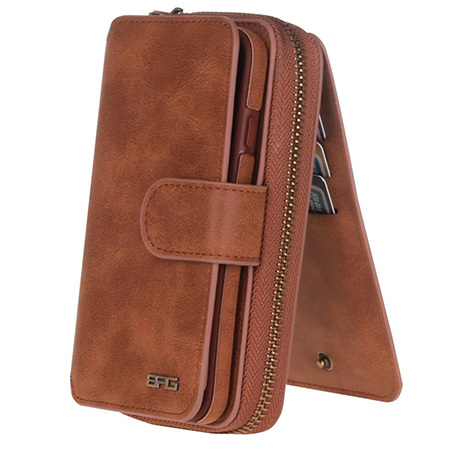 I love it … Great for storing my cards . The magnet closure works very well too. It looks and feels like real leather ! I love the versatility of the case and the look. Very classy ! I love this case, and you will too! I love this case! I would recommend everyone to buy this case it is amazing! The magnet is strong so your phone will not fall off. 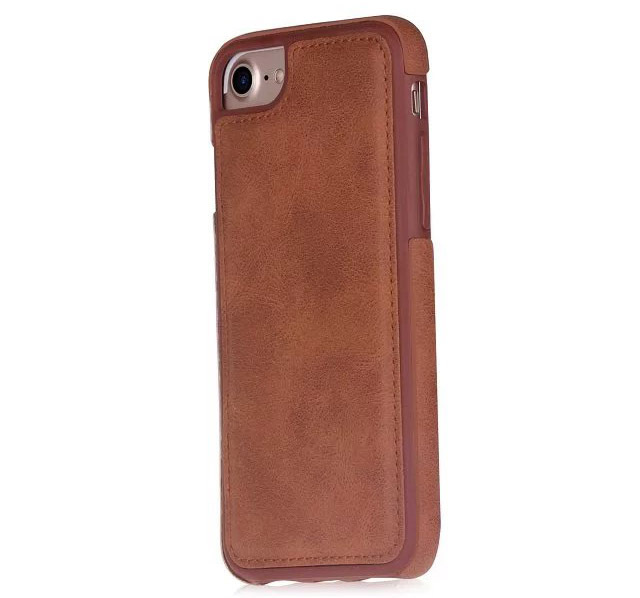 The leather is very durable and the actual phone case is very protective! I truly would buy this again! I’ve had this case for 2 months and haven’t dropped it once. TWICE in the past 24 hours my cats have been responsible for a 3+ foot fall onto a wood floor and this case protected my phone beautifully. Awesome case, protective, cute and holds all of my cards and cash snugly. Love it. I get a lot of compliments as well. It’s a compact little purse that I can take any where. I would buy it again. Way better than what I expected. I have never received a product that looks and feels better than the advertised photos. It’s awesome. Magnets work just fine. Everything looks great. Received today. I hope to use for a long time. This case is exactly what I was looking for! 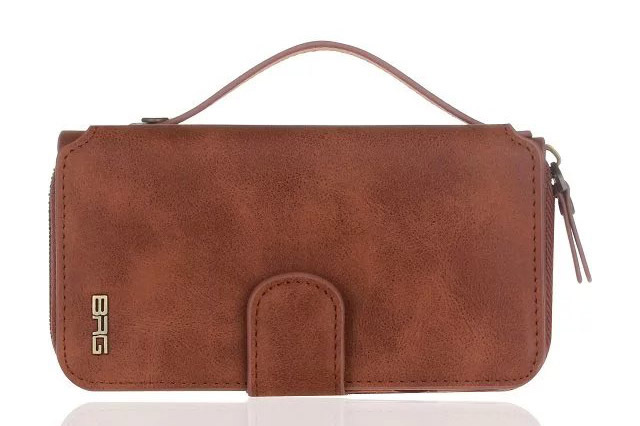 I loved the thought of a wallet case for when I go out, but hated the flip cover flapping around when I was on the phone or taking pictures. With this case, I can take my phone out when I need to, and put it back into the case when I’m not using it. The magnet is strong and the case is sturdy. Best case EVER! My last one was leather and would stretch out and my cards and cash would fall out. With the zipper on this one it makes it much safer for my stuff. I also love that the phone part is magnetic. Then when I am at home its easy to take my phone out of the big case and lay on my couch using it without the rest of the case. Would definitely recommend!!!! I really love this product!!! Perfect for this big phone!!! This case is so convenient because of the neat magnetic feature so you can take your phone out as needed! 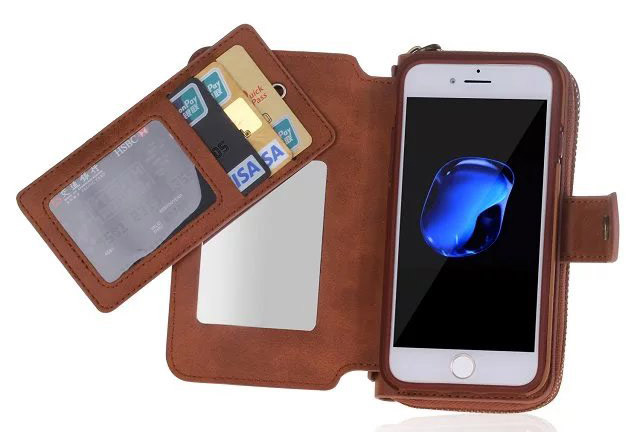 It’s like you are getting a great quality wallet and a phone case! I love this phone case wallet. The best part about it is that you can detach the phone part from the wallet part. That way if I’m home, I can leave the wallet part on a table and just have the phone by itself. 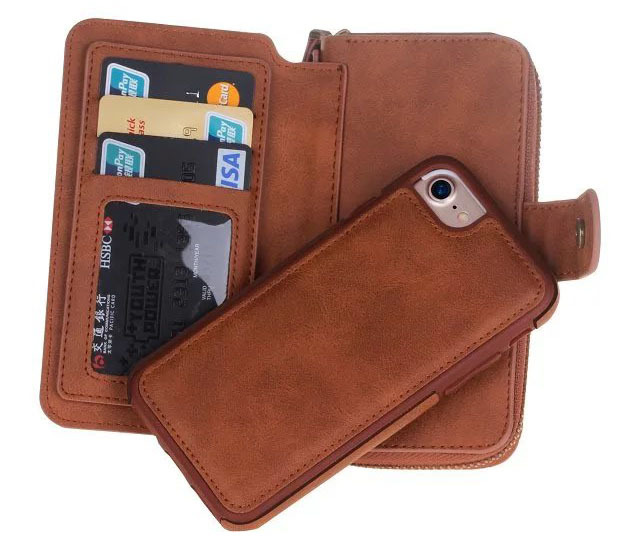 Most wallet cases come with the phone portion attached, now I don’t have to keep removing my phone from its case.